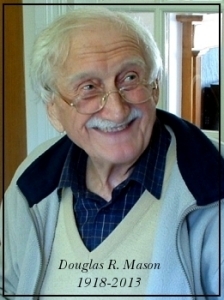 Douglas R. Mason, a.k.a. John Rankine, is an internationally renowned author responsible for some of the most exciting and engaging Science Fiction of the 1960's 70's and 80's. Born in Hawarden, Flintshire, Wales in 1918, he first attended Chester Grammar School, then, in 1937, enrolled at Manchester University to study English Literature and Experimental Psychology. During this period DRM published his early work - poems - in the 'Serpent' magazine. The War loomed and in Aug 1939 DRM signed up to the Royal Signals Corp, which took him to service in Africa. After, he returned in 1946 to finish his degree and finally graduated in 1948. With several teaching jobs under his belt, he gained a headship at Sommerville School in Seacombe, then at St Georges in Wallasey Village in 1964. 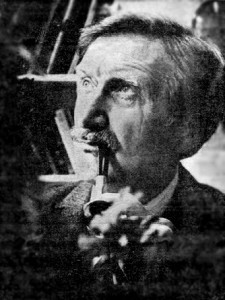 He returned to writing at this stage, producing a string of short stories for editor Ted Carnell. This was followed by his first published full length novel - Interstellar Two Five.